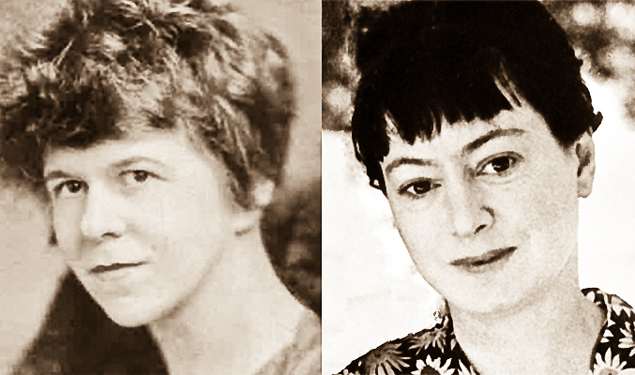 Celebrate two of New York’s greatest fiction writers on a walking tour to trace their footsteps in the neighborhoods they made famous: Dorothy Parker and Dawn Powell. See their homes and haunts on a walk that begins at the landmark Algonquin Hotel and ends in Greenwich Village. The tour starts at Noon on Sunday, June 26. Tickets are $25 each and can be purchased here. Advance reservation is required. Patricia Palermo, author of The Message of the City: Dawn Powell’s New York Novels 1925-1962. (Swallow Press/Ohio University Press). Both writers share many similarities, among them both wrote for The New Yorker. But while Parker lacked the discipline to write a novel and focused on short fiction, poetry, and criticism, Powell turned out many fine novels and was a careful crafter of essays. The age difference was only three years; Parker was a native New Yorker and Powell a transplant from the Midwest. Parker never made it past eighth grade and Powell was a college graduate. Dorothy Parker (1893-1967) joined the staff of Conde Nast in her twenties and was a founding writer of The New Yorker. She wrote for most major publications in New York and worked for five years as Broadway critic. Her work has never gone out of print. Dawn Powell (1896-1965) was a gifted satirist who moved in the same circles as Parker, Ernest Hemingway, renowned editor Maxwell Perkins, and other midcentury New York luminaries. Her many novels are typically divided into two groups: those dealing with her native Ohio and those set in New York. She also wrote a dozen plays and about 100 short stories, book reviews, and essays. Palermo’s new critical biography and study of the New York novels reminds us how Powell earned a place in the national literary establishment and East Coast social scene. Both are members of the New York State Writers Hall of Fame and both have plaques on their former residences in Manhattan. Fitzpatrick is the author of The Algonquin Round Table New York: A Historical Guide, Under the Table: A Dorothy Parker Cocktail Guide, A Journey into Dorothy Parker’s New York, and the Governors Island Explorer’s Guide. He edited Dorothy Parker Complete Broadway, 1918-1923. Patricia E. Palermo is a Southern California native, professor of English, and independent scholar who has lived in the New York City area for more than twenty years. Buy advance tickets here via TicketWeb for $25. If the event isn’t sold out tickets can be purchased at the start with cash or credit cards. Meet in the Algonquin Hotel lobby at 11:45 AM. The walk begins promptly at Noon. Reservations are required. We will see Club Row, Speakeasy Row, the Theatre District, and Greenwich Village. (The midpoint of the tour will require a transfer to the subway. Bring a Metrocard). Following the walk will be a gathering at a landmark drinking establishment.